I wasn’t proud of being aboriginal when younger, but was inspired to see that art was our way of passing on the tradition. Learned more about myself through carving. I am now proud and we need to continue the tradition and pass down our teachings through art. 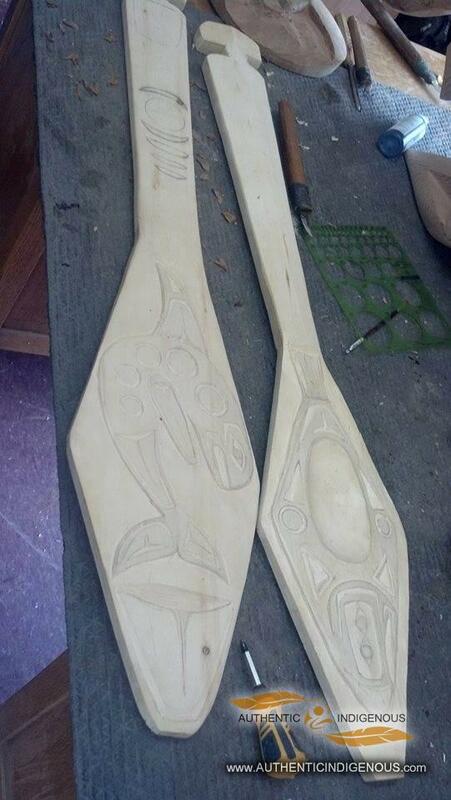 Make the language part of the carving. My influences include Alec Peters, Marvin Joe, and Ed Sparrow. 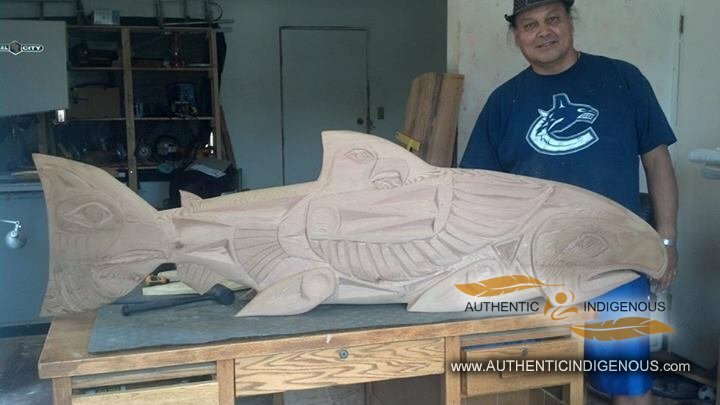 Works can be found at Native Education College in Vancouver, Sir Charles Tupper Secondary, Windermere Secondary, Musqueam Cultural Centre, collaborations with Lyle Sparrow, Steveston Harbour, along with many private sales across the world. This website is a good idea because we need to start showing the world who Musqueam is!